Aluminum is one of the most durable and attractive fencing materials you can find. An ornamental aluminum fence perfectly mimics expensive wrought iron at a more affordable price. Its durability makes it a great fit for our region’s intense heat and moisture. We carry a wide range of ornamental aluminum fences to fit your residential, commercial and industrial needs. Our team is ready to help you create a look that will add beauty, safety and security to your home or business. Once you’ve decided on a design, our expert installers will ensure your aluminum fence looks great and lasts a lifetime. Our ornamental aluminum fence systems can be tailored to suit your design preferences, whether that means French Quarter New Orleans or French Colonial. Select from a range of colors, styles, heights and decorative hardware. An aluminum fence is the perfect substitute for traditional wrought iron. Our aluminum fence systems are rackable, meaning each panel contours to your property’s terrain. Uneven ground is not a problem because our installers can adjust each fence panel without compromising the overall vertical alignment. No matter how unlevel your yard is, your finished fence will look smooth and elegant. 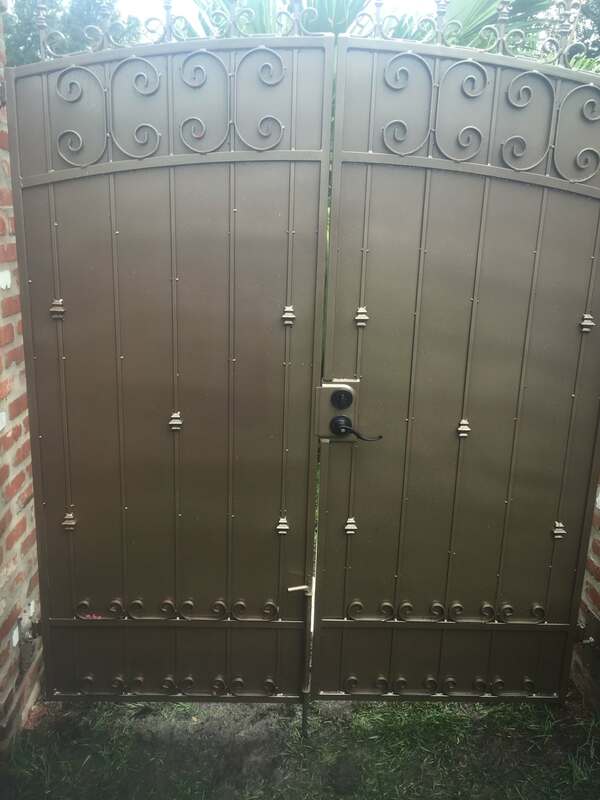 If you are seeking the traditional Louisiana wrought iron look and want a maintenance free cost-effective solution, you can’t go wrong with aluminum fencing and gates. To get a quote on an aluminum fence, contact us today!